• Multi modal imaging: what are the data implications? • Advantages of PET/SPECT/CT, optical- PET, SPECT-MRI , PET-MRI: which mode has the best clinical potential? SeekingAlpha: ST CEO Carlo Bozotti updates on the company's ToF sensor business: "We had a very strong sequential increase in sales due to the success of our new specialized image sensors based on our proprietary Time-of-Flight technology. In fact, we are seeing strong momentum globally. During the third quarter, we were present in 11 new smartphones, including a new product in flagship phones launched on the market. In addition in Q3, the imaging product division turned to profit. ...in Q3 we are profitable on our imaging business. It is all new products. It's new technologies. Has nothing to do with what we had in the past. That has been completely removed. And it's a part of a strategy of the company because we want to be a big sensor company. Today the run rate that we have in sensors is already above $1 billion and we want to keep going. It's all good products. It's very important for many applications from smartphones to IoT to automobile. It is an important part of the strategy of the company. Of course, this specialty in the sensors I think is a lot of new technologies that we have developed." After a long hiatus, Sony unveils two new 1.62um pixel image sensors featuring Digital Overlap (DOL) HDR mode. The 1/2.9-inch 6.82M IMX326LQC and 1/2.5-inch 8MP IMX274LQC are pin-compatible and target industrial and security applications. When in DOL HDR mode, the frame rate drops to the half of the one in normal mode. Imager Mania publishes a nice overview of different HDR approaches that Sony used over the years (in Japanese). "We have indeed grown in recent years with a prudent rate of 30 to 80% per year. We have an excellent reputation in the very specific niche market of image sensors, a sector in which Flanders has acquired a leading position on the world stage. Of ten firms active in our market, there are three in Flanders. Our customers are top companies themselves, who want to make their products want to be better than the competitors and for this purpose a sensor to measure, giving it inspected all the existing sensors. We call it beyond state of the art . Something that already exists, we will not make it. Our customers are also distributed worldwide, we have to 9 am conference calls with Japan and at 6 pm conference calls with California. And our customers are in many diverse fields: aerospace (ESA), astronomy, nuclear physics, engineering, microscopy and many other scientific applications, medical applications such as DNA sequencing, edm ... You come to us all against top research areas in the world." "Caeleste will present its radiation hardened design data base as well as the effects of radiation on image sensors realized in that technology. We will focus especially on the differences in behavior between ionizing and non-ionizing radiation. 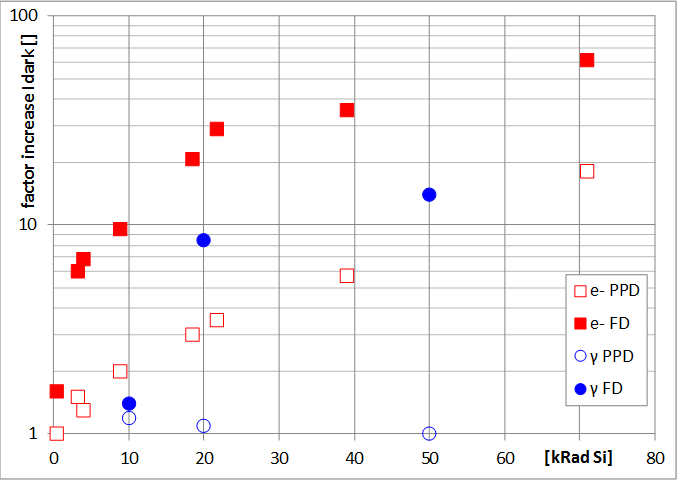 The blue dots and circles show the effect of ionizing radiation on dark signal, while the red dots and circles are the effects of non-ionizing radiation (electrons in this case). The difference in behavior between the photodiode itself and the sense node will also be explained." Caeleste will also present its new pixel combining photon counting for low light condition with charge integration for high flux situations. "Canon researchers will discuss high-resolution, large-format CMOS imaging technology for use in high-performance cameras large enough to take photographs and videos at ultra-high-definition resolution. The Canon researchers developed a new architecture that enables the readouts of multiple pixels to be accumulated and stored in memory, and then processed all at once. This technique enabled the implementation of a global shutter while also delivering excellent noise and dark current performance and high dynamic range (92dB at a standard 30fps frame rate)." MarketWired, BusinessWire: Chronocam SA announces it has raised $15M in Series B round led by Intel Capital, along with iBionext, Robert Bosch Venture Capital GmbH, 360 Capital, CEAi and Renault Group. Chronocam will use the investment to continue building a world-class team to accelerate product development and commercialize its computer vision sensing and processing technology. The funding will also allow the company to expand into key markets, including the US and Asia. “Conventional computer vision approaches are not well-suited to the requirements of a new generation of vision-enabled systems,” said Luca Verre, CEO and co-founder of Chronocam. “For example, autonomous vehicles require faster sensing systems which can operate in a wider variety of ambient conditions. In the IoT segment, power budgets, bandwidth requirements and integration within sensor networks make today’s vision technologies impractical and ineffective. "...molded plastic lens technology had been nearly perfected over the previous five years to the point where these lenses were ­“diffraction limited”—that is, for their size, they were as good as the fundamental physics would ever allow them to be. Meanwhile, the cost had dropped dramatically: A five-element smartphone camera lens today costs only about US $1 when purchased in volume. (Elements are the thin layers that make up a plastic lens.) And sensor prices had plummeted as well: A high-resolution (13-megapixel) camera sensor now costs just about $3 in volume. The first and current version of the Light camera—called the L16—has 16 individual camera modules with lenses of three different focal lengths—five are 28-mm equivalent, five are 70-mm equivalent, and six are 150-mm equivalent. 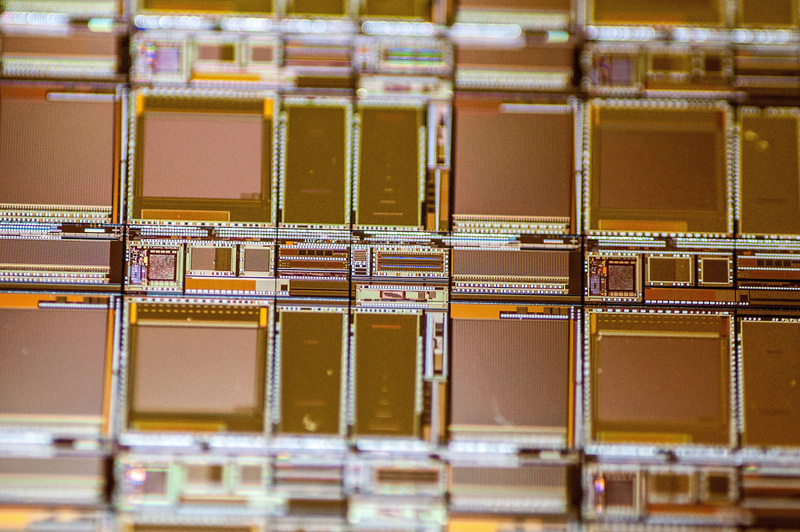 Each camera module has a lens, an image sensor, and an actuator for moving the lens to focus the image. Each lens has a fixed aperture of F2.4. Five of these camera modules capture images at what we think of as a 28-mm field of view; that’s a wide-angle lens on a standard SLR. These camera modules point straight out. Five other modules provide the equivalent of 70-mm telephoto lenses, and six work as ­150-mm equivalents. These 11 modules point sideways, but each has a mirror in front of the lens, so they, too, take images of objects in front of the camera. A linear actuator attached to each mirror can adjust it slightly to move the center of its field of view. Each image sensor has a 13-megapixel resolution. When the user takes a picture, depending on the zoom level, the camera normally selects 10 of the 16 modules and simultaneously captures 10 separate images. Proprietary algorithms are then used to combine the 10 views into one high-quality picture with a total resolution of up to 52 megapixels. Our first-generation L16 camera will start reaching consumers early next year, for an initial retail price of $1,699. Meanwhile, we have started thinking about future versions. For example, we can improve the low-light performance. Because we are capturing so many redundant images, we don’t need to have every one in color. With the standard sensors we are using, every pixel has a filter in front of it to select red, green, or blue light. But without such a filter we can collect three times as much light, because we don’t filter two-thirds of the light out. 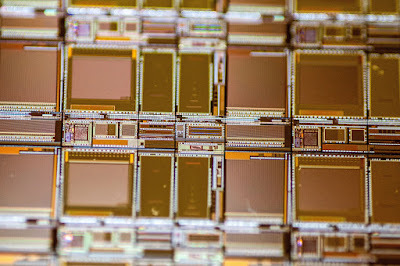 So we’d like to mix in camera modules that don’t have the filters, and we’re now working with On Semiconductor, our sensor manufacturer, to produce such image sensors." Albert Theuwissen reports that the Harvest Imaging Forum 2016 is almost sold out: there are only 4 seats left in the session of December 8th and 9th 2016. ETNews: As Hynix moves into 13MP sensors mass production at its 300mm M10 fab in Icheon in 2017, the company plans to reduce production of the low-priced low resolution CIS at 200mm M8 plant in Cheongju. Instead, it is going to outsource the low cost sensor production to other foundries such as DDIC and PMIC. Eventually, SK Hynix is going to stop low-resolution sensor production at M8 fab. As a part of this plan, SK Hynix publicly announced that it has recently received all SiliconFile's assets of $3.98 million (4.5 billion KRW) from SiliconFile, which is 100% CIS design subsidiary. Silicon File is becoming SK Hynix’s CIS design house. SiliconFile is supposed to find new fabless customers. "Experts believe that variety of businesses that have been competing against each other in a field of fabless design can become customers of Silicon File." SK Hynix appointed Director Lee Dong-jae serving as the department head of foundry business department, as SiliconFile board director. 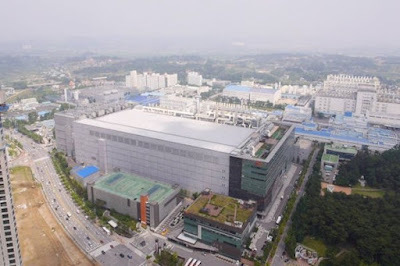 “Receiving company assets from Silicon File and changing Silicon File into a design house indicate that SK Hynix is officially promoting its non-memory semiconductor business,” says ETNews industry source. Hynix VP KD Yoo who has established and led Hynix image sensor business over the years, left the company and now is a Professor at Hanyang University. JCN Newswire: DENSO and Toshiba have reached a basic agreement to jointly develop a Deep Neural Network-Intellectual Property (DNN-IP), which will be used in image recognition systems which have been independently developed by the two companies for ADAS and automated driving technologies. DENSO has been developing DNN-IP for in-vehicle applications. By incorporating DNN-IP in in-vehicle cameras, DENSO will develop high-performance, ADAS and automated driving systems. Toshiba will partition this jointly developed DNN-IP technology into dedicated hardware components and implement them on its in-vehicle image recognition processors to process images using less power than image processing systems with DSPs or GPUs. 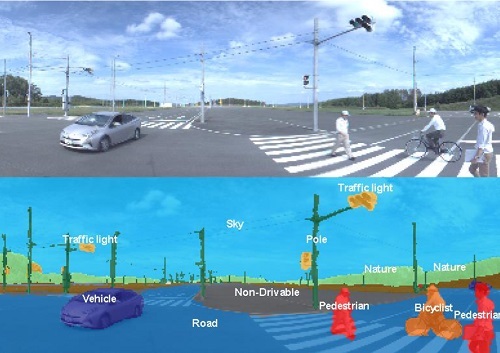 JCN Newswire: DENSO announces that the image sensors provided by Sony have helped DENSO improve the performance of its in-vehicle vision sensors and can now detect pedestrians during night conditions. Sony image sensors, which are also used in surveillance and other monitoring devices, enable cameras to take clear images of objects even at night. DENSO has improved the quality of Sony's image sensors in terms of ease of installation, heat resistance, vibration resistance, etc. to be used in vehicle-mounted vision sensors. DENSO has also used Sony's ISPs for noise reduction and optimization of camera exposure parameters to better recognize and take clearer images of pedestrians at night. • Volumes of 4K cameras shipped in 2016 will remain low, less than 1% of the 66 million network cameras projected to be shipped globally. We are unlikely to see over million 4K network cameras units shipped in a calendar year until 2018. • More “4K-compliant” cameras will be launched because of the increased use of 4Kp30 and above chipsets, meaning more cameras adhering to 4K standards, such as SMPTE ST 2036-1. • Like the HD surveillance cameras, early 4K models offered the resolution at lower frame rates. We’ll see more cameras with a higher frame rate offered, and closer ties to other video standards." PRNewswire: eWBM launches the DR1152 depth map processor, the successor to the DR1151 dual aperture processor. The DR1152's predecessor, DR1151 (announced last year), accomplished cost reduction in the depth map processor market by implementing Dual Aperture's 4-color 3D image solution technology which extracts RGB and IR signals from a single image sensor. The DR1152 increases its depth level to 121 (nearly 8 times compared to the predecessor). Unlike the predecessor, which works only with 4-color sensors, the DR1152 now supports both 4-color and 3-color image sensors. eWBM believes that the 3-color adaptation opens a new market sector since it removes the barrier of sourcing only 4-color image sensors. This will expedite time-to-market significantly since widely available image sensors can be bought off the self. The DR1152 supports a depth image resolution of up to XGA (1024 x 768) at 30 fps or 60 fps at VGA resolution. The technologies such as blur channel depth combining, noise reduction, and edge thinning technology are included in the new product. 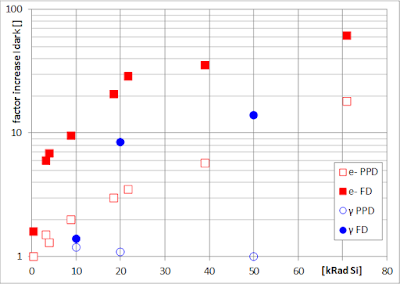 With all these significant improvement, DR1152 contains less gate count compared to its predecessor. PRNewswire: OmniVision announces the OV12895, a PureCel Plus-S stacked-die sensor. The 12MP sensor leverages a 1.55um pixel and high-speed architecture aimed to consumer-grade drones, surveillance systems, and 360-degree action cameras. "We are seeing rapid growth in the markets for consumer drones, surveillance systems, and 360-degree action cameras, in part due to the increasing demand for aerial photography and 4K-resolution panoramic videos in security and virtual reality applications. The 12-megapixel OV12895 aligns well with these consumer product segments because it strikes a balance between solid pixel performance and high resolution, in a widely used 1/2.3-inch optical format," said Kalairaja Chinnaveerappan, senior product marketing manager at OmniVision. "The OV12895 builds on our latest-generation PureCel Plus-S stacked-die architecture and has many desirable features for these applications." PRNewswire: OmniVision announces latest addition to its PureCel image sensor line, the OV2732. Due to the OV2732's HDR mode, power efficiency and small dimensions, the sensor is suited for compact and ultra low-power surveillance devices. "The industry is seeing a tremendous increase in demand for IoT-compatible home monitoring systems. Today, resolution at 720p is already considered a mainstream segment, and interests in ultra low-power and good low-light 1080p imaging solutions are now on the rise," said Chris Yiu, senior strategic marketing manager at OmniVision. "Available in a 1/4-inch optical format, the OV2732 sets itself apart by delivering crisp 1080p HD video with advanced features such as frame synchronization and staggered HDR within a cost-effective and power efficient package. It's truly a no-compromise imaging solution for the security market." Both sensors are currently available for sampling, and are expected to enter volume production in Q1 2017. Austria-based ams is to acquire 100% of the shares in Heptagon dealing with optical packaging and micro-optics, that, in turn, has acquired MESA imaging an couple of years ago. Heptagon’s headquarters and manufacturing are based in Singapore while its R&D center is in Rueschlikon, Switzerland, and Silicon Valley, USA. The company has over 830 employees including around 120 engineers and 500 manufacturing staff. Heptagon's IP portfolio, primarily in optical packaging, includes more than 250 patent families. Heptagon’s current 12 month revenue run rate is around USD 90m at negative operating profitability due to current underutilization of production capacity. Heptagon expects substantial revenue growth over the coming years starting mid-year 2017, based on its existing revenue and capacity pipeline and customer commitments. To prepare for this expected growth, Heptagon has already embarked on a major expansion of its Singapore manufacturing capacity with a total capital investment of more than USD 250m in 2016/2017. The expansion is based on a confirmed customer commitment for usage of the additional capacity and is fully funded from existing cash in the business, requiring no funding by ams. The transaction combines an upfront consideration in cash and shares with a substantial deferred earn-out consideration. The upfront consideration includes USD 64m in cash from available funds, a capital increase of 15% of outstanding shares from authorized capital (excluding subscription rights) and shares from currently held treasury shares for a total value of the upfront consideration of approx. USD 570m. The earn-out consideration will be contingent on future results of Heptagon’s business over fiscal year 2017 with a potential maximum value of USD 285m. Following the upfront share transaction, current Heptagon shareholders which include financial investors, management, and employees are expected to hold around 20% in ams. The transaction is expected to close within the next three months. Tech.eu estimates the total acquisition price at up to $919 million, or approximately €845 million, if Heptagon hits the targets set for its next fiscal year. "Heptagon has raised tens of millions over the years, including from GGV Capital, Innovations Kapital of Sweden, Innovacom of France, Nokia Growth Partners, High Tech Private Equity, Credence Partners, Jolt Capital, AAC Technologies and Heliconia Capital Management." Update: Antonio Avitabile, Sony Europe, comments at LinkedIn: "congrats Bo [Ilsoe] and Heptagon team. I understand cash was 64mln USD for an almost 1bln USD deal. Great job on the buying side." PRNewswire: OmniVision announce OV2735, a 1080p30 image sensor for mainstream security and surveillance cameras. "The 1/3-inch 1080p sensor is the most popular format in the mainstream surveillance camera market. Given its excellent performance and advanced features, the OV2735 is one of the most competitive drop-in camera solutions available for this segment," said Chris Yiu, senior strategic marketing manager at OmniVision. "The OV2735 leverages our proven OmniPixel3-HS™ technology to deliver low-light sensitivity in a more compact and power-efficient package." The OV2735 is currently available for sampling, and is expected to enter volume production in Q1 2017. Thanks to Deep Neural Networks and stereo 3D sensing, Hikvision has been able to achieve up to 99% accuracy in their advanced visual analytics applications. Some of these applications include: car model classification, intruder detection, suspicious baggage alert, and seatbelt detection. The Myriad 2 platform allows these functions to now be processed instantaneously onboard the camera, rather than being sent to the cloud for processing. e2v has launches Emerald family of CMOS sensors featuring what is claimed to be the world’s smallest true global shutter pixel available on the market today (2.8µm). The DSNU of the new sensors is 10 times improved compared to other e2v CMOS products. This allows cameras to perform better in high temperatures and enables long exposures to be used in low-light applications such as microscopes or outdoor cameras for surveillance, speed and traffic applications. e2v’s Emerald family comprises a 16MP (4096 x 4096 pixels), which is the first to be released, a 12MP (4096 x 3072 pixels) and a 8MP (4096 x 2160 pixels). These high resolution formats are a world first and include a one inch optical format, which can be interfaced with a compact C Mount lens. The whole Emerald family features the same pixel, processing, readout structures and ceramic Land Grid Array (LGA) package to simplify integration, helping to lower development costs for camera makers. The new products have dedicated embedded features including HDR modes, 8/10/12 bit ADCs, high speed outputs (60fps at 10 bits, full 16MP resolution), and a number of power saving modes. “A camera’s accuracy depends very much on the lighting available. In this case, it failed. The radar system recognized the obstacle, but couldn’t locate it precisely and mistook the truck for a road sign,” says Werner Brockherde, head of the CMOS Image Sensors business unit at the Fraunhofer Institute for Microelectronic Circuits and Systems IMS in Duisburg. The researchers have dubbed the new generation of sensors “Flash LiDAR.” They are composed of photodiodes developed at Fraunhofer IMS known as single photon avalanche diodes (SPAD) “Unlike standard LiDAR, which illuminates just one point, our system generates a rectangular measuring field,” Brockherde explains. “The first systems with our sensors will go into production in 2018,” Brockherde says. BusinessWire: ON Semiconductor helps Silicon Valley start-up Light providing its image sensors for L16 multi-aperture camera. Through close collaboration with Light, ON Semiconductor supplies specially customized sensor devices, based on its 1/3.2-inch format AR1335 CMOS sensor product. With up to 10 sensor devices capturing image data simultaneously, Light's L16 camera is supposed to deliver an impressive 52MP resolution, plus over 5X optical zoom without any degradation in image quality. "A camera that has one optical path worries less about what is “true” or “real” because there is only one truth, one reality. This reality can be objectively tested and optimized, but it requires adjusting only one path. A multi-aperture camera with sixteen optical paths (apertures + mirrors + sensors) contends with sixteen realities. In order to merge those realities to create one truth (final image), the camera needs to know precisely where each optical path is relative to the others. 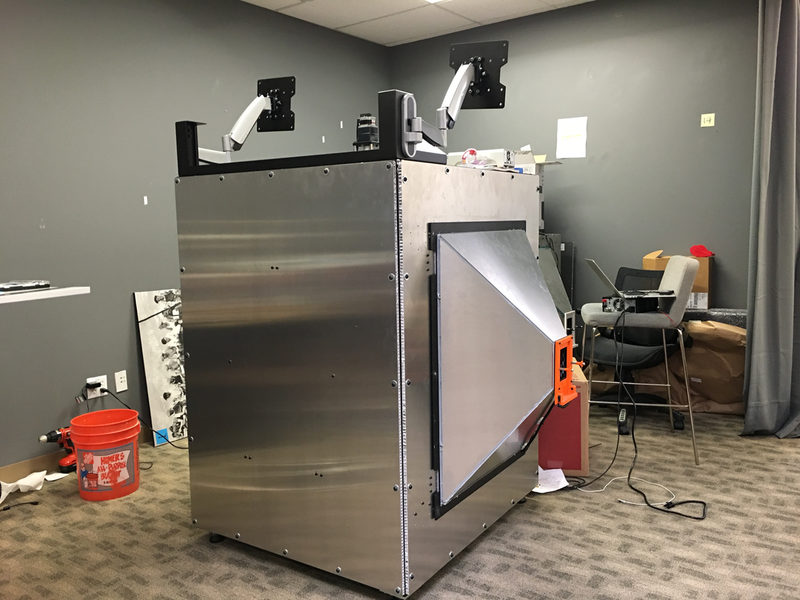 In Light’s Palo Alto office, we’ve been using a specially-designed calibration box to “teach” each L16 prototype where all of its optical paths are relative to the others and relative to the world it will capture. This allows the sixteen paths to behave as one - maintaining the same consistency as a camera with only one optical path." "Eight surround cameras provide 360 degree visibility around the car at up to 250 meters of range. Twelve updated ultrasonic sensors complement this vision, allowing for detection of both hard and soft objects at nearly twice the distance of the prior system. A forward-facing radar with enhanced processing provides additional data about the world on a redundant wavelength, capable of seeing through heavy rain, fog, dust and even the car ahead. "Teslas with new hardware will temporarily lack certain features currently available on Teslas with first-generation Autopilot hardware, including some standard safety features such as automatic emergency braking, collision warning, lane holding and active cruise control. As these features are robustly validated we will enable them over the air, together with a rapidly expanding set of entirely new features. As always, our over-the-air software updates will keep customers at the forefront of technology and continue to make every Tesla, including those equipped with first-generation Autopilot and earlier cars, more capable over time." Update: SeekingAlpha publishes its interpretation of Tesla announcement and 2.0 autopilot version development. "...when we looked at the selfie camera side and took out the sub-assembly, both the ambient light sensor and the LED/sensor module were different from those in the 6s model. When we took them off and looked at the module, it looked very STMicroelectronics-ish to us. Looking at the die, it is not the same, but definitely similar in style and die numbering (S2L012AC) to the VL53L0/S3L012BA die with the two SPAD arrays, however this time the LED is bonded on top of the ToF die to give a very compact module. Based on this we think it is safe to conclude that the proximity sensor is now a ToF sensor that can also act as an accurate rangefinder for the selfie camera. It was also in the 7 Plus, so a good design win for STMicroelectronics. So far nothing has been announced by either Apple or STMicroelectronics, but it is yet another one of the subtle improvements that we see in the evolution of mobile phones." Chronocam, a Paris-based developer of event-driven vision sensors, announces that Jean-Luc Jaffard has been named as VP Sensor to the company. Jaffard brings more than 30 years’ experience in the chip industry, including a lengthy career developing the imaging business at ST Microelectronics. "The new release is now open for public review and discussion and will become the official release 3.1 on December 30, 2016, if no objections are filed. The new release contains only a few refinements and additions, because release 3.0 proved already to be a robust and stable release. The major progress is the new data template sheet. This makes it easy to compare the main features of cameras with data summarized in a standardized way on a single page. The two other major additions are: total SNR curve including the spatial non-uniformities, and diagrams of horizontal and vertical profiles for illustration of the spatial non-uniformities. The document can be downloaded from EMVA’s website at http://www.emva.org/standards-technology/emva-1288/emva-standard-1288-downloads/"
Thanks to TL for the info! XDA-Developers publishes a popular explanation of features of Sony IMX378 image sensor found in a number of recent smartphones, including Google Pixel. "From an image quality standpoint, capturing images at low light continues to be a challenge for not only the image sensor but also the image processing. Fewer photons means less signal for the hardware, so the software has to do more to generate good images. Another challenge is the latency and accuracy of autofocus. Camera users want to capture in-focus memories without having a lag after pushing the shutter button. With moving objects and camera handshake, this isn't always easy."